One of the most advanced combat aircraft in the world, The Eurofighter Typhoon together with BAE Systems, has developed a helmet which could make its pilots more operative. Striker II is said to have an integrated night vision camera together with a high definition digital display which tends to project flight information on to the screen. 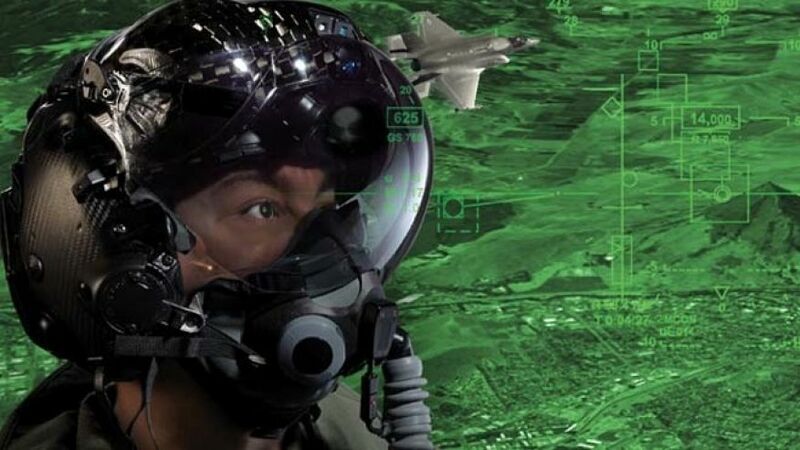 According to BAE, the helmet has the potential to virtually see through a Typhoon by connecting up to various systems on the aircraft and the helmet’s tracking system also seems to be important. It makes sure that the pilot’s position of the head together with the aircraft computer system is continuously in sync. The latest weapon of Typhoon is not something that is under the wing, but a system with brains which tends to sit on the pilot’s head. The Helmet Mounted Symbology System is a sophisticated helmet which supports the system that enables the pilot to see through the body of the aircraft, providing them with an animated advantage with split-second decision making.Mark Bowman, director of flight operations at BAE Systems had stated that if one has a digital display there, it means that we can put in sensor information. It could be situations such as infrared image, an imaging pod, or it could be a radar display. He further adds that `if one has got a sensor located around the aircraft and if it tends to be beneath, then one can give the impression that the pilot is basically looking through the surface of the aircraft’.It is said that the new helmet has not been utilised for combat operation still, but it had been tested widely at the time of flight trials. Providing pilots with more technology has advantages, however depending on it too much could probably cause problems. James Ixer, former RAF Wing Commander as well as managing director of the Drone Pilot Academy had stated that if Typhoon pilots tend to have a high tech helmet which was made bespoke to the pilot, what could happen if the helmet goes unserviceable en route to the aircraft for a scramble or as one plugs in and start the engines.There should be vigorous back-up plans in place. Everything built at BAE System’s research lab in Rochester, Kent, has to pass through a rigorous round of tests and one of the tests is known as `Shake and Bake’. A device is put in a chamber which is subjected to extreme temperatures as well as vibrations. Mark Applegate, manufacturing resource manager at BAE Systems had said that they take an item and bolt it down and shake it to ensure that nothing literally would fall out.Besides this, they take it up and down in temperature so that there is some stress that goes through each item that is put through this type of test. The test seems to be of great importance. Mark Bowman had commented that `this is a major advance with regards to combat capability and is something which gives Typhoon pilots a substantial advantage with regards to air combat. There is no doubt that the Eurofighter Typhoon led the world in terms of this kind of capability and this is something that all who has worked on the system can feel proud of it. It is a main advance in aviation capability.